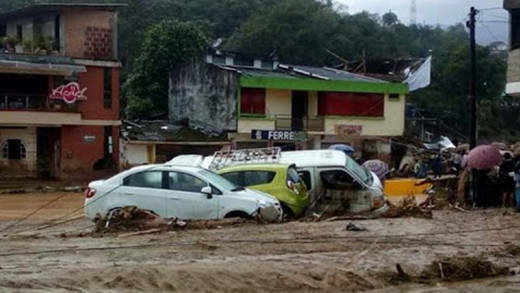 Torrents of mud, water and debris have left over 250 dead and hundreds more missing in the city of Mocoa in south-west Colombia. Huge landslides in Mocoa, south-west Colombia, have left hundreds of people dead and many more missing and injured. The landslides have destroyed hundreds of homes in the city of Mocoa in Putumayo department, close to Colombia’s southern border with Ecuador, taking many people by surprise when they struck early in the morning on Saturday 1 April. The local government has declared a state of emergency. More than 250 people are reported to have been killed and over 200 people injured. Five out of the 17 neighbourhoods of Mocoa are reduced to rubble, as rescue teams search for hundreds of people who are still missing. Our local Church partner, Caritas Colombia, is responding to the disaster. They have established two teams to respond to this emergency, which is the worst of its kind to hit Colombia since the 1980s. 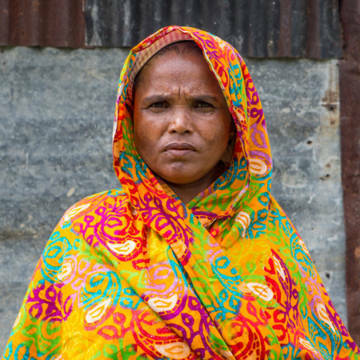 “We have a local team on the ground led by the local Diocese and have sent two specialists to the region to support them. We are also working closely with others to coordinate our relief efforts. “We are working with our Church partners in Colombia to assess what support we can provide for people who are affected by the landslides. Our local partners play a vital role during emergencies. Their presence in every diocese of the country means they are there when a disaster like this strikes and can respond quickly." “Our prayers are with those who have lost family members and whose homes have been destroyed” said Clare Dixon. The Colombian Government is responding with its National Risk and Disaster Management Unit. The army and police are also supporting efforts. Colombia’s armed conflict involving the security forces, leftist guerrillas and right-wing paramilitary groups has been ongoing for over fifty years. A peace agreement was reached recently with one of the guerrilla groups. The Catholic Church plays a key role in Colombia as an advocate for peace and human rights and in the resettlement of uprooted communities.